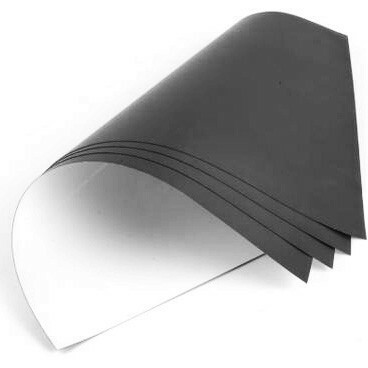 Flexible Magnetic Sheeting Rolls are available in a variety of thicknesses, (12 mil, 15 mil, 20 mil, 30 mil, 45 mil or 60 mil) magnet coatings, (uncoated, vinyl white or color coated or adhesive coated) and sizes (24” x 25’ or 24” x 50’). Magnetic Sheeting Rolls are perfect for those looking to create very large displays or custom-cut displays that cannot be readily found. 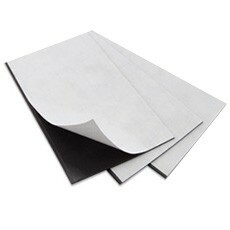 Flexible Magnetic Sheets are pre-cut to size for your convenience! Choose from a large variety of stocked sizes, or get them custom-cut to size. Pre-cut magnets are available with an adhesive coating or with a special vinyl coat that can be printed on with most printers. 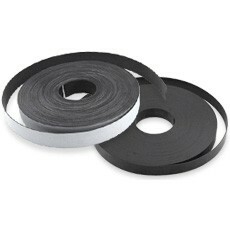 These flexible magnetic strips come in many of the same thicknesses as standard sheeting rolls, however, they are cut into thin strip rolls made perfect for labeling. 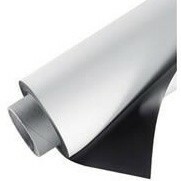 Available with different coatings available for adhesive applications, printable applications or completely uncoated. These slip-in magnetic label holders let you slip in your own custom designed and printed labels for display on any magnetic surface. 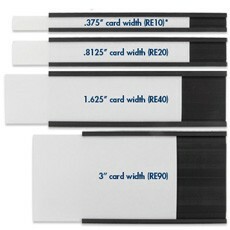 Many different sizes are available to fit a large variety of label sizes. Paper business cards get damaged and thrown away. Make a lasting impression on your clients with magnetic business cards! Featuring a pressure-sensitive adhesive coating on one side for the application of your own custom designed and printed sheet, these 2” x 3.5” business card magnets are sure to impress! Questions, comments are any additional magnetic-related needs? Learn more on Binding101 or contact them by calling (866)537-2244 or emailing info@buy101.com.